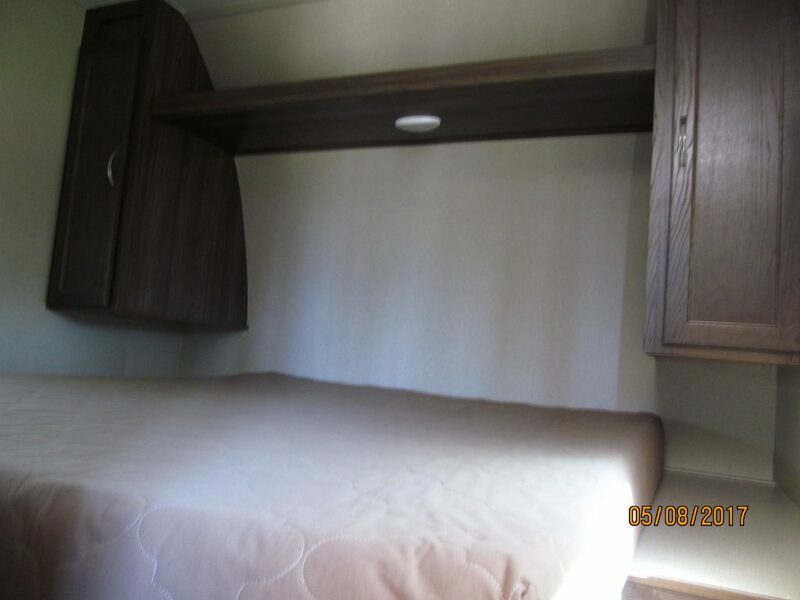 We have three identical trailers available to rent. They are all 2019’s, and 26 feet in length. The trailers are permanently set up on site 122, 123 and 124. 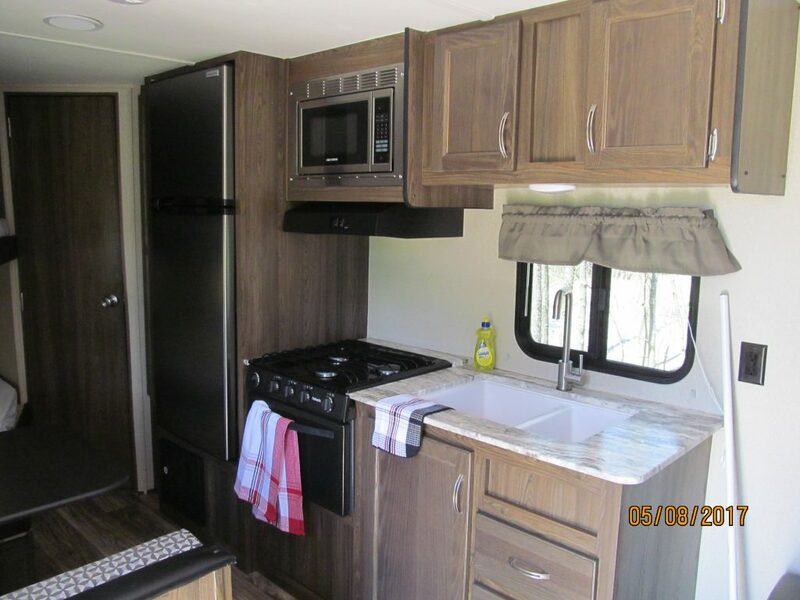 They are fully equipped with dishes, cutlery, pots, pans, toaster, coffee maker, fridge, stove, microwave, air conditioner, furnace, BBQ with a side burner, picnic table, and a fire ring. 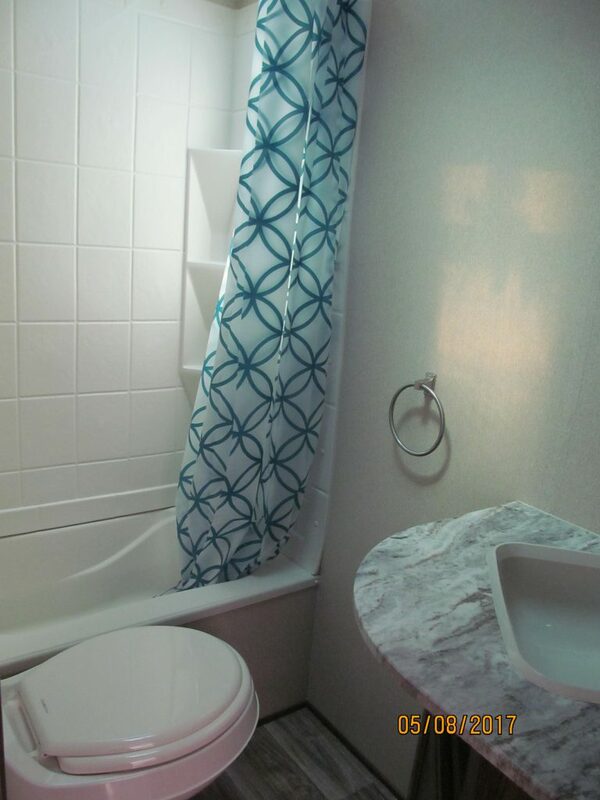 The bathroom consists of a sink, toilet and shower. 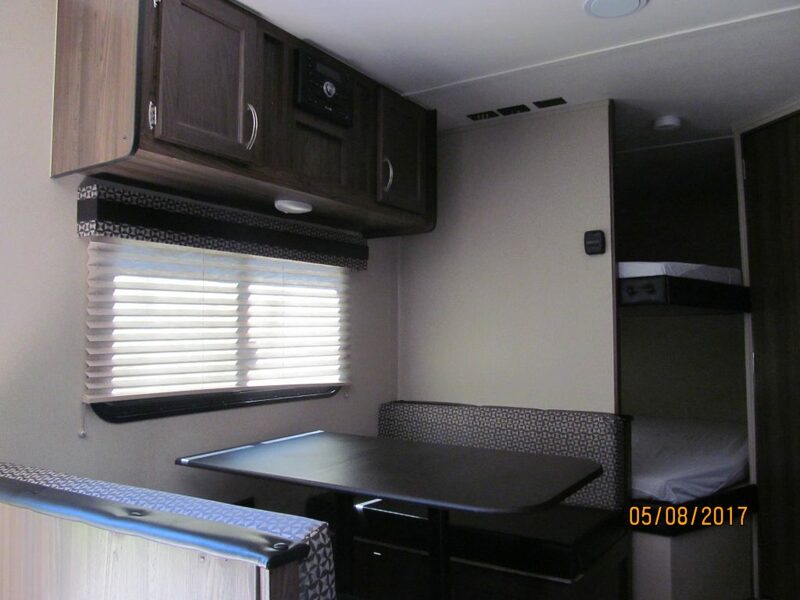 You must bring your own bedding, toiletries, and towels. 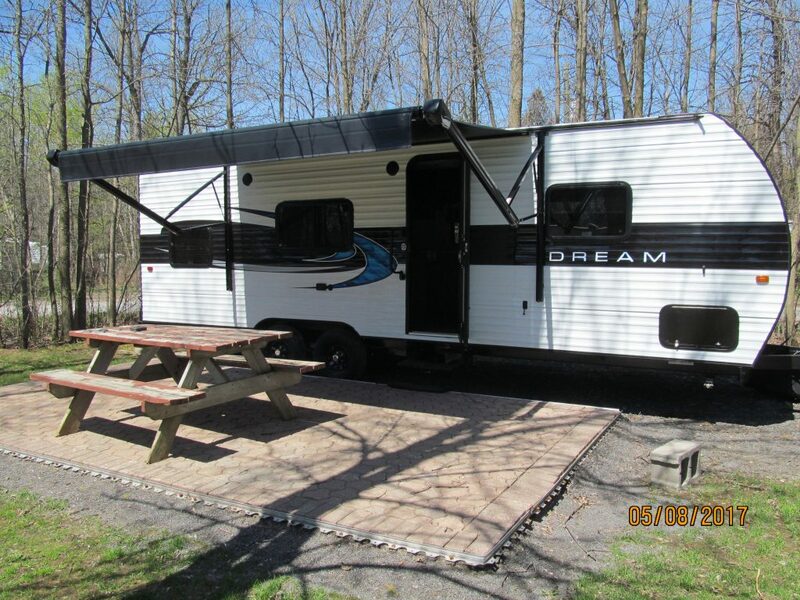 There is a two night minimum on trailer rental.